Whether you work from home or in an office, you can fight the effects that come from sitting at a desk for hours at a time with a few simple stretches. These nine easy-to-do routines will help to relieve the associated stress, fatigue and stiffness. When life throws you stress, look to yoga as a healthy way to reduce it. 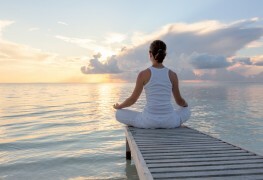 Here are some of the best yoga poses for stress relief. Not only is yoga a great form of exercise, it has plenty of other health benefits. Keep these tips in mind to ensure you reap its maximum benefits as a beginner. Want to get in shape while having fun? Familiarize yourself with the international laughter movement that runs "laughter yoga" classes. More and more Canadians are turning to yoga: it’s inexpensive and offers many benefits for mind and body. If you wish to try it, suitable clothing is a must. 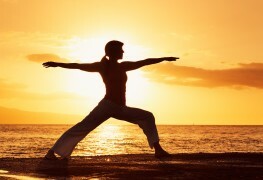 Many stores offer a huge choice of yoga clothing for all tastes and budgets. Yoga only requires your mind and body, but adding a few essentials to your yoga bag can only improve your workout experience. The ancient practise of yoga continues to grow and attract new people. Whether you are new to yoga or have been practising for years, here are 5 accessories that can help improve your workout. 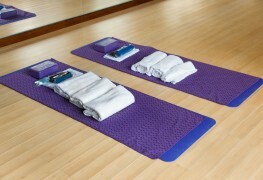 A yoga mat is a thin and slip-resistant type of exercise mat that provides comfy support between you and the ground. 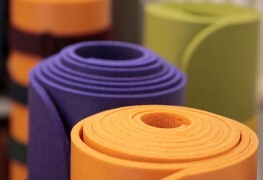 If you’re looking for a new yoga mat, consider these 4 things before buying one. Following a few basic tips will help you begin your yoga training in a healthy and respectful way. Learn about these common courtesies before your first class. Easy yoga poses for beginners can provide benefits for anybody, but more difficult poses are reserved for only the most flexible and fit individuals. Breathing is the most important element of yoga as it helps the body and mind relax, increases control, regulates body temperature and releases tension. If you're new to yoga, then you've just started discovering the many benefits that come with practicing this timeless exercise. To help you, here are the top 4 yoga positions that everyone should know. As anxiety and depression are closely connected, extended periods of stress can trigger depression. Yoga can help you out. Serious runners will want to add yoga to their daily routine because it can help prevent injury, steady balance and make them more efficient. These 5 yoga poses for runners should be considered by anyone wanting to improve. Sitting at a desk all day can leave your shoulders feeling tense and sore. These three yoga poses can help to relieve shoulder tension. Not only can yoga transform the lives of adults, it can help kids to develop physically and mentally, finding harmony and happiness.